This dish is meant to show off the morel mushroom in all it’s earthy glory. 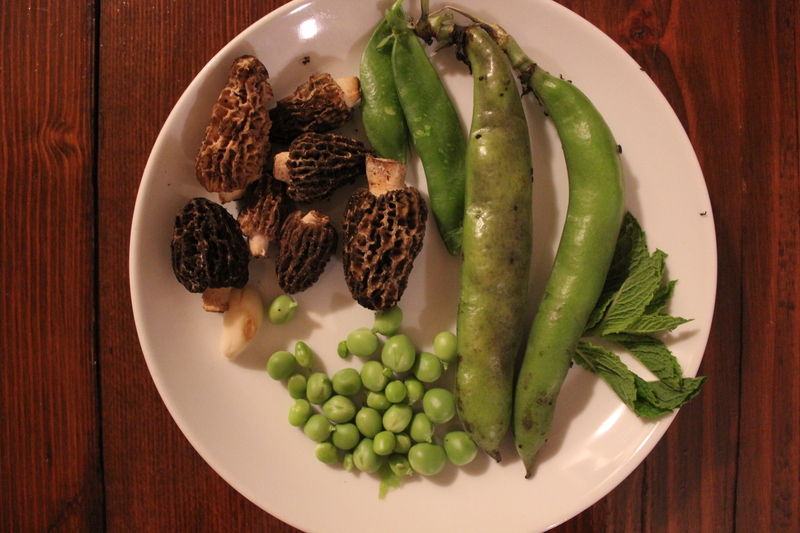 The fava bean and pea puree is exceptional on its own, but forms a fresh, spring inspired bright green canvas for the morel mushroom to unleash its complex umami flavour and unique texture. For me, this dish performs the perfect marriage of the quintessential spring vegetables. It’s food you savour with every bite, and you wonder how a simple combination of things could ever be so mind blowing. If you’re going to make anything from this blog, make this. Serve it as an appetizer, and people will lose their minds! If you’ve never had the pleasure of eating a fresh morel mushroom before, I implore you to seek some out at a local farmer’s market and make this dish. You will have to go now because the season is extremely short, from mid May to early June in the Pacific Northwest. 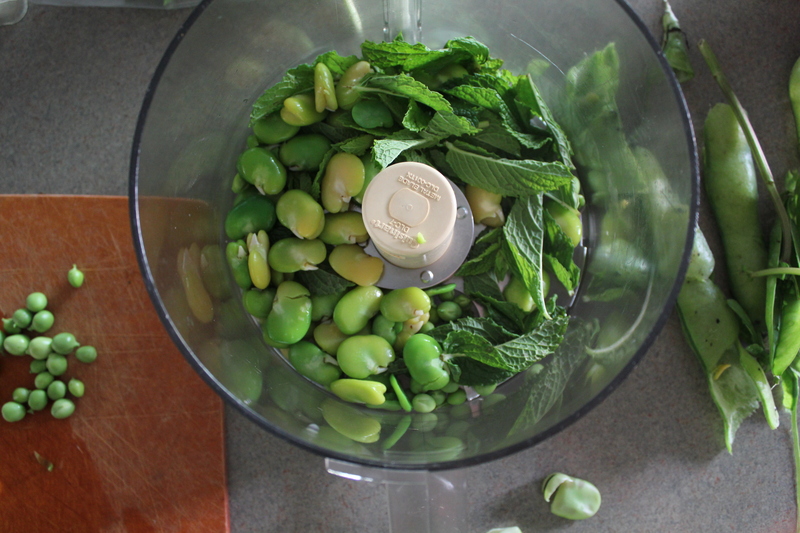 Fava beans can also be found at the same time, usually at green grocers from May to mid summer. One day, I will write about a successful mushroom forage, where the bounty is consumed on the spot with a camping stove and a select combination of ingredients. This is the dream, but to date I have been completely unsuccessful in my morel foraging escapades. In the meantime, I will venture further and further into the woods in the pursuit of my namesake. They are elusive little buggers, but I will find them one day! 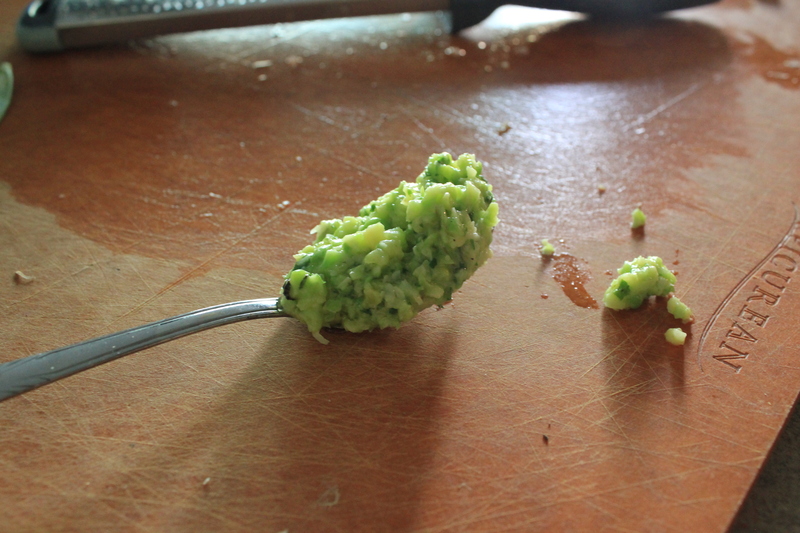 First, take the stem portion of the bean and pull back like you’re peeling a banana. A thin string should peel down the seam of the bean, allowing you to pull apart the sides more easily. Shell as you would a pea, and reserve the beans for part two. Second, set a small pot of water to boil. Toss the shelled beans in the boiling water for 30 seconds. Remove with a slotted spoon and toss into an ice bath, or rinse with cold water to stop the cooking. 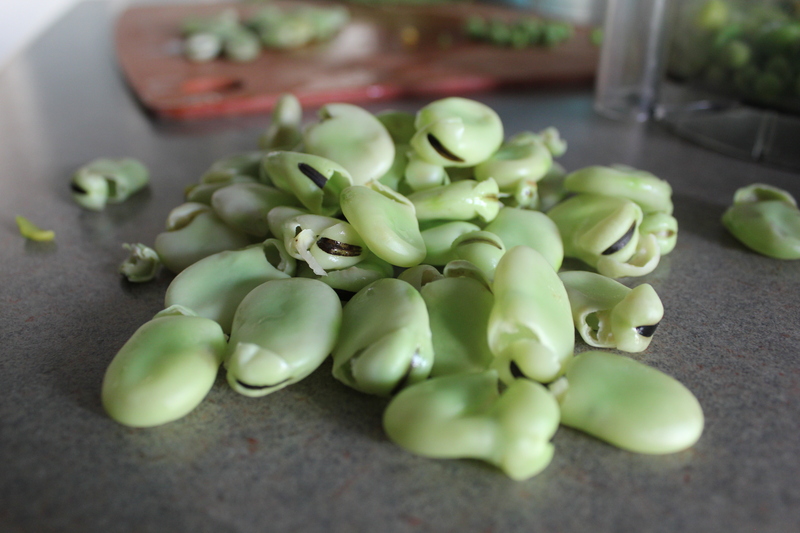 To peel the individual beans, hold the fava bean like a guitar pick, with the black line at the end of the bean facing outwards. With your other hand, make an incision right above the black line with your finger nail, and peel down the end. Now squeeze with the fingers holding the bean, and it will pop out into two firm pieces. Disclaimer: they have a tendency to fly across the room when you are popping them out of the inner shell, but your aim will improve (maybe). 1. Place all the ingredients with the exception of the olive oil and the Pecorino Romano into a food processor. Pulse on and off, until all the ingredients are roughly chopped. 2. Add the Pecorino Romano, and half of the olive oil, and pulse again a few times to combine. Do not puree to an indistinguishable mush, you want all the character and texture of each layer to come through. 1. 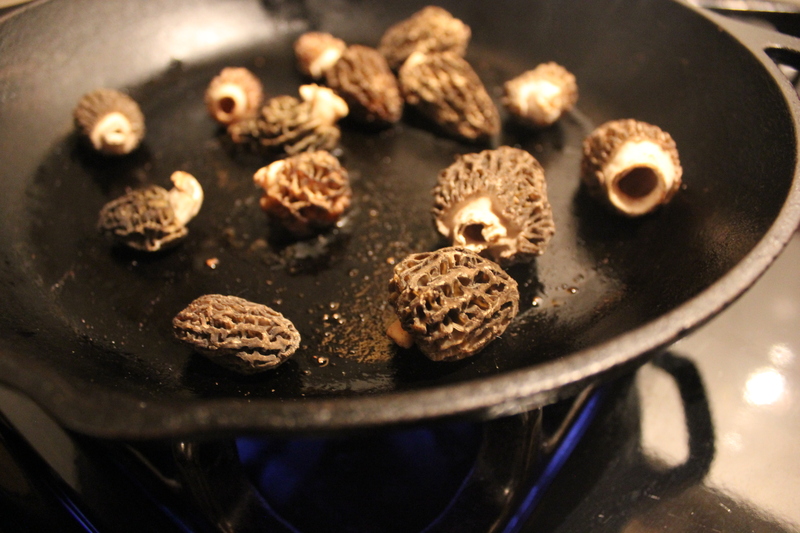 Heat a cast iron pan to high heat, add morels to the pan and allow to cook dry for 5 minutes. Don’t overcrowd the pan, you want high dry heat to really bring out the mushroom flavour and aroma. 2. Add the olive oil, then toss the morels around a bit for about 30 seconds. Add the butter and garlic, and continue to move the morels around. Continue to saute for 2 minutes, then season and remove from heat. 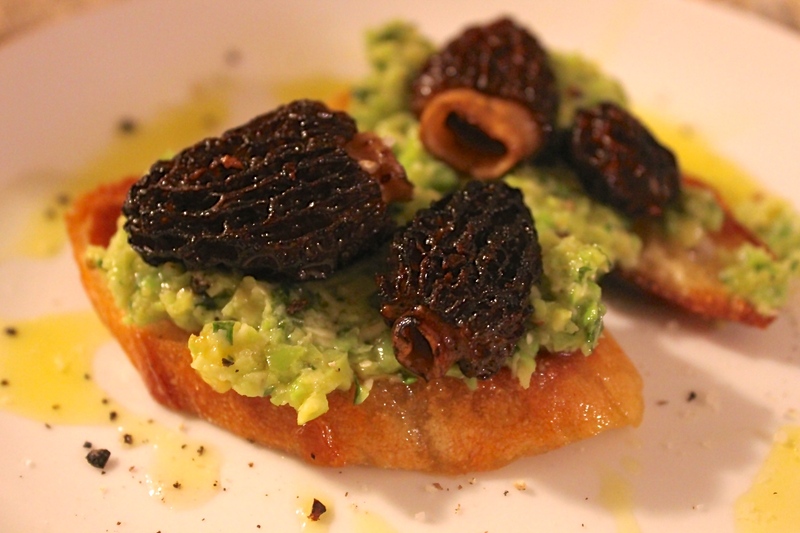 Take a few slices of baguette or french bread, and lightly toast with some olive oil in the morel pan. Rub with a garlic clove sliced in half to finish. 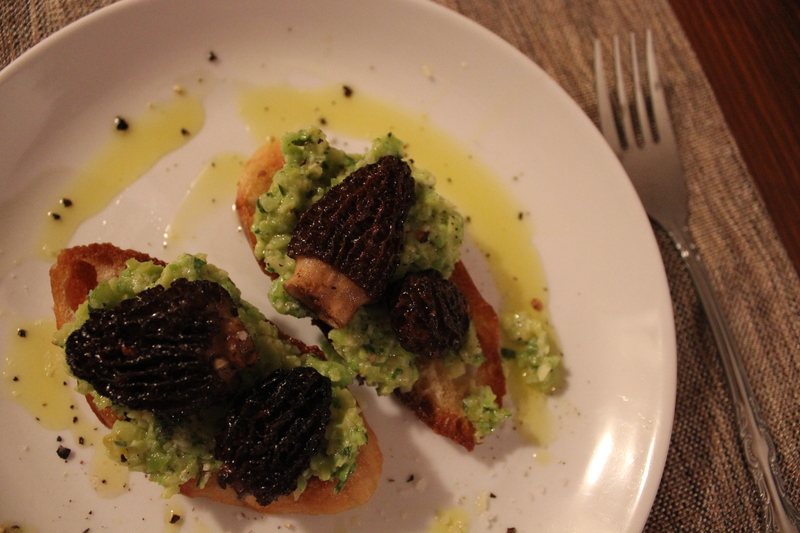 To plate, spread a dollop of the fava bean puree over the crostini, then top with a few of the sauteed morels. Drizzle over some olive oil, and finish with some freshly cracked pepper and sea salt. Thank you! I would eat this over fried food any day!